After completing his GCSEs, Gareth went on to achieve the highest grade possible for a BTEC First Diploma for IT Practitioners. Through his hard work and a further two years studying on an advanced IT course, Gareth had enough UCAS points to start university. Having completed his undergraduate degree at NTU, Gareth was able to use the knowledge he learnt - creating virtual environments and 3D animations for game-based learning and training - in his final year project. 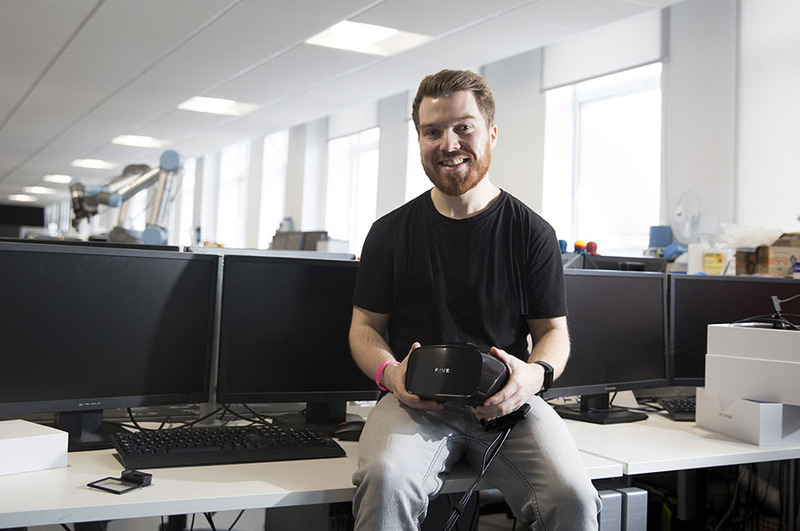 Gareth's virtual reality project garnered a lot of media attention because he designed software to help people with speech impediments by putting users in a variety of scenarios to confront social anxieties. To read more, click here. 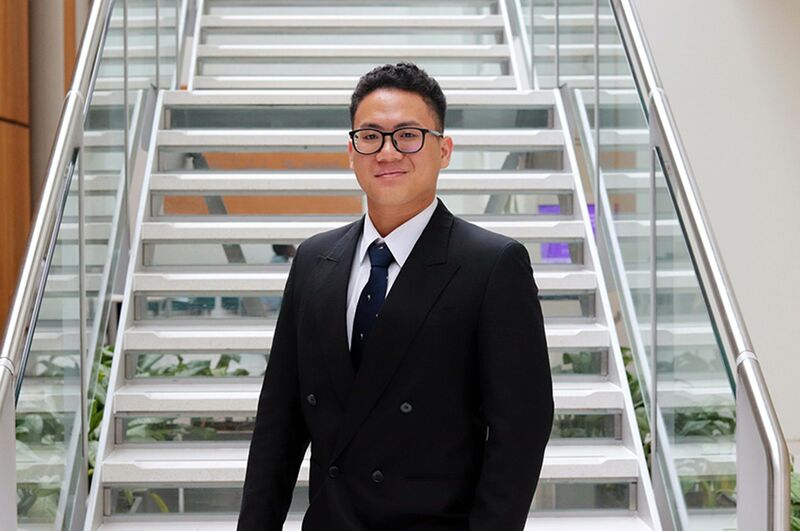 Gareth is still continuing to further his final year project and is currently studying at NTU on the MSc Medical Product Design course, before embarking on a PhD in the Department of Experimental Psychology at UCL. Why did you decide to study BSc Digital Media Technology? I have always had a keen interest in computers and anything that uses technology, and I wanted to further my knowledge within computing from the completion of my BTEC courses. 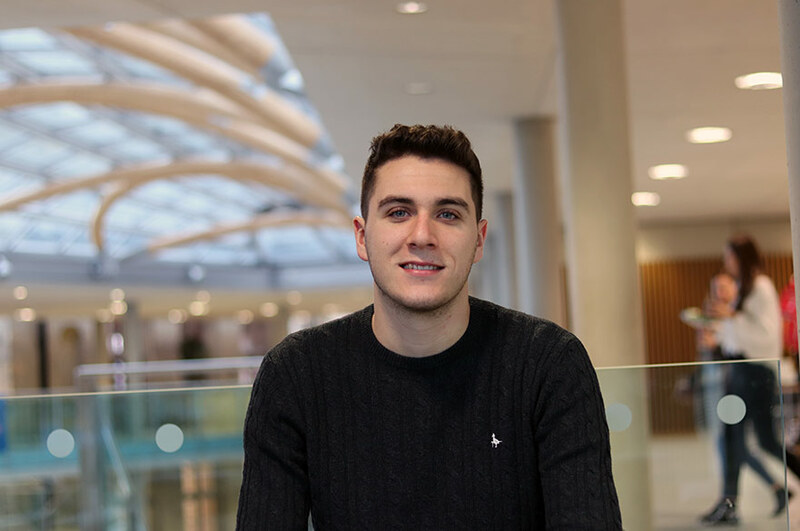 At first, I chose to study BSc Software Engineering, however, I found coding very difficult, and decided to switch to BSc Digital Media Technology after completing my first year at Nottingham Trent University. What skills did you develop as a result of completing your course? The course has taught me a wide range of skills in both computing, and different aspects of researching. It has given me the opportunity to develop websites, create virtual environments, 3D animations, and even create games for learning, teaching and training purposes. I have learnt many computer languages in the process of completing my course, which has helped me to easily adapt to create different types of software/programs for multiple uses. Virtual reality is new, and learning something which is so new is very enjoyable. 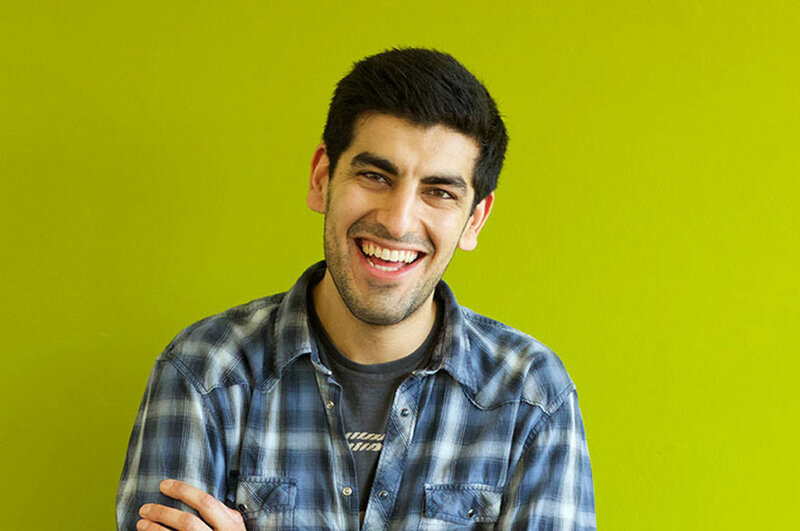 You switched from a computing course to a product design course for your Masters, how easy was that and how did studying one complement the other? Switching to a product design course was not easy at first, as there are many product design methods that you are expected to already know when starting a Masters on a product design course. However, I spent a lot of time learning these new product design methods, and soon caught up with the others. I also felt that as I had studied a computing course beforehand, I could do many things that others could not. For example, one of the current modules in my Masters involves designing a mobile application for early awareness of strokes, and then to create it, if possible. With my background of computing and previous experience of coding from my computing course, I am already ahead of others who previously studied product design. Would you recommend your degree to new students? What is it about the course that you would particularly recommend and why? Yes. I thoroughly enjoyed my course, and would highly recommend it to others who are interested mainly in 3D models/animation, virtual reality, and creating games. Creating a virtual environment is not easy, however, you are shown how to create one from scratch and you can then innovate using those methods learnt. What are the teaching facilities and support like for students at Nottingham Trent University? The teaching facilities contain all you could possibly need to complete the course. The computing labs have very fast computers with specialist software. You are able to hire any additional equipment you might need. The staff throughout the university are highly knowledgeable and are there to assist you. I used both the libraries in Clifton and City campuses. These libraries have literally all you could possibly want, from informative books, to comfy spaces for learning. If you can’t find a book you need in the library, the online Library OneSearch will have it. Nottingham is a great city. It is known for its great sport, public transport, and you can easily keep finding different activities to do in your spare time throughout your course. Nottingham isn’t too big, nor is it too small. It’s easily accessible from all over, and also has a fantastic student life. Help your course mates and they will help you, spend time studying when you have free time, find what you like, join a sports club/society, and make the most of every minute, because it will be over before you know it.